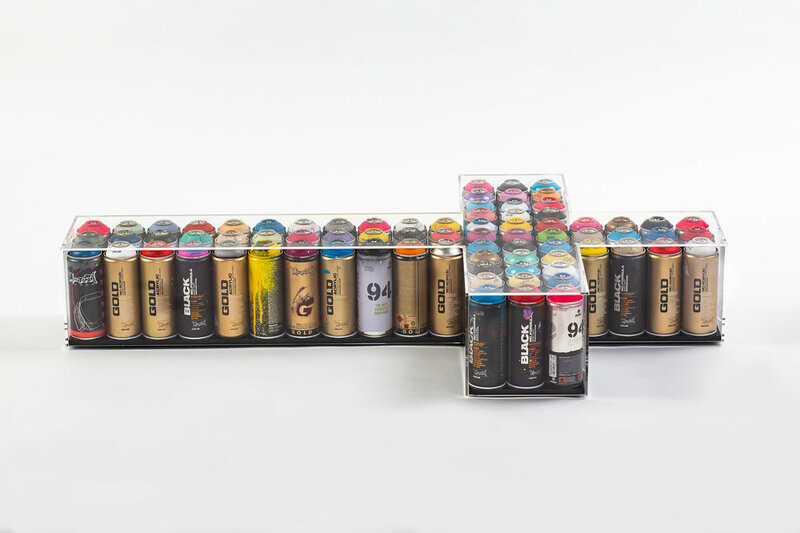 The spray cans epitomise graffiti culture and become iconic objects in themselves. The capsule like effects of the museum perspex cases act to represent the preservation of a moment or idea caught in time that transcends the confines of dictated ways of being. This is Bens comment on lifes contrasts and to challenge freedom of thought from the constraints of religious brainwashing.